Announcing the winners of my 4-year Blog-Anniversary Extravaganza! Thanks to everyone who participated; it was a lot of fun. It'll be fun exciting to see what the next four years hold. 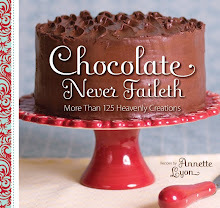 With the release of my cookbook, Chocolate Never Faileth, in October, a companion DVD will also be for sale. Picture me doing a 1-hour chocolate cooking show! How cool is that going to be? I'm in the process of talking with the director, deciding on which recipes to demo, and all that fun stuff. I've never done something quite like this before, but I think it'll be a ball. NOTE: All winners must e-mail me their mailing addresses so prizes can actually GET to them. If I don't hear from you w/in a week, your prize will be forfeited. THE CANADIAN CHOCOLATE PACK from Kim goes to Sarah M. Eden for her blog post telling readers about the contest. All the Stars in Heaven, by Michele Paige Holmes: In a true twist of Karmic fate, Random.org picked Kim (who donated the chocolate prize) to win a prize of her own! Alma the Younger, by H. B. Moore goes to Norah S for her comment. Spiral-bound Notebook & Pen (with the quotes, "Unlock your mind; read," and, "Don't bug me; I'm writing." This prize goes to Elizabeth Morgan. The Mouse Pad (Quote from Groucho Marx: Outside a dog, a book is a man's best friend. Inside a dog, it's too hard to read.) goes to a friend I haven't seen in years (and one of the original members of my critique group TEN years ago! ), Sherri. T-shirt with the quote: "A house without books is like a room without windows" goes to Melanie J. And lastly, the story winner. The winner is TJ Bronley, a great supporter of local writers and a really fun guy (read this post on his blog for a great laugh, including the comment trail. Oh, and this one, too.) I'm also partial to his sweet wife, so I'm glad he entered and won some goodies for her. A copy of Stephanie Humphrey's debut romance, Finding Rose, published by Walnut Springs. A custom piece of jewelry from Bangles, Beads, N' Bobbles. The story rules were to keep it to 250 words and either begin or end with the following sentence: In hindsight, it wasn't such a good idea. I saw her from far away. She was easy to spot across the room. Casually walking toward her, I interacted with as many people as I could. Delaying the impending discomfort was a procrastinator's lifeline. Her brother stopped me about ten feet from her by grabbing my arm. Of course it wasn’t. “Yes, it’s gotta happen,” I replied. I pulled my arm away and continued my saunter. “Hey, Tim,” she said as I approached. She looked down, a horrified look on her face. She stormed off while I placed my hand on my throbbing cheek. In hindsight, it wasn’t such a good idea. One of my favorite quirks of English is how versatile it is in creating new words, and often without us even realizing it. A common way of creating new words is essentially tweaking a current word in a process called back-formation. With back-formation, the new word usually looks like it is the original one and that the other word or words came from it. That idea make sense grammatically, because we tend to just slide into creating back-formations. 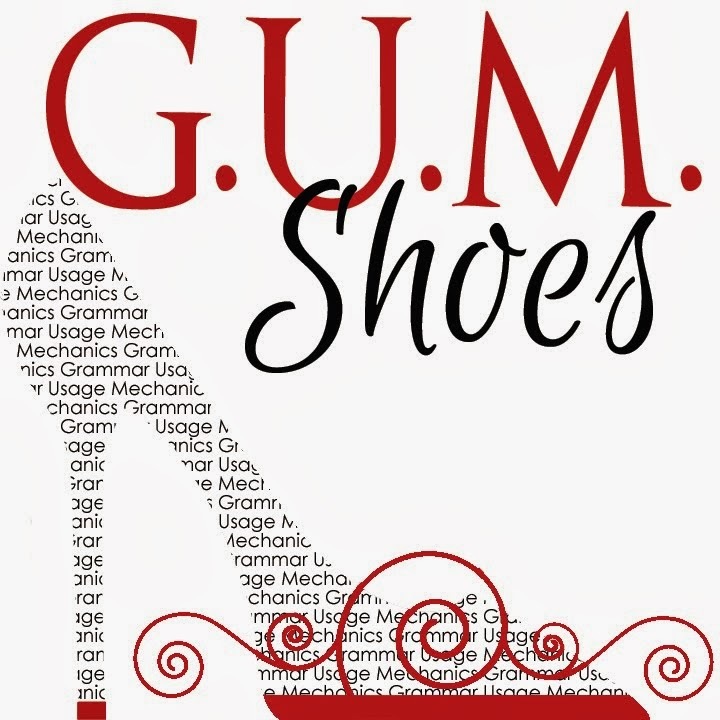 The new word is typically shorter, because often a typical prefix or suffix was removed to create the word. The first I heard of this concept was with the word EDIT. It wasn't the original word. But wait: isn't that's what an EDITOR does? Well, yes. That's what we call it today. But the person (EDITOR) was given the name, and what they do was later called editing. English uses -OR and -ER endings to mean "one who" (a teacher teaches, a sweeper sweeps), so it's easy to take a noun that happens to have a similar ending and apply the rule we're used to. Therefore an editor must . . . edit! EDIT is a back-formation of EDITOR. Sometimes we use back-formations as jokes, like how (see Wikipedia) comedian Bill Bryson reportedly suggested that we should call someone who has tidy hair "sheveled" (as opposed to disheveled). And in an episode of the sitcom Scrubs (a show I found brilliantly written from a Word Nerd standpoint), Turk tells Dr. Cox, "I don't disdain you! It's quite the opposite–I dain you." FINAL REMINDER: Enter the anniversary giveaway! Spread the word for more entries. Try your hand and the easy-peasy trivia questions. And/or write a little anecdote. Winners will be announced FRIDAY. 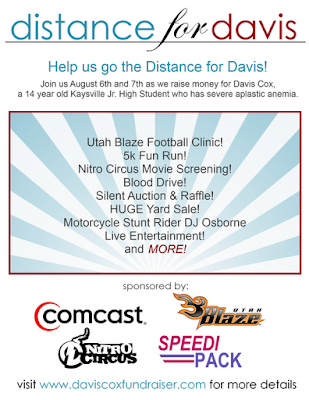 If you're in northern Utah in just over a week (Friday, Aug 6 and Saturday, Aug 7), be sure to check out all the events surrounding the fund raiser for Davis Cox, a young man about the age of my own son who is suffering from a severe case of aplastic anemia . . . a very dangerous illness. There will be lots of fun, from a 5K (okay, to ME running isn't so fun) to motorcycle stunts, hot air balloon rides, entertainment, and more. Below is information from the press release about it. WHAT: “Distance for Davis” Fundraiser for 14-year-old aplastic anemia patient, Davis Cox. Event includes a Utah Blaze Football Clinic, Nitro Circus Movie Premier, motorcycle stunts by DJ Osborn, a silent auction and raffle, a 5K Fun Run, hot air balloon rides, a blood drive, food, games and entertainment. Utah Blaze, DJ Osborn, local companies, friends, family and classmates rally to raise money and support local teen Davis Cox. WHEN: Aug. 6 from 7 p.m. -11 p.m.
Aug. 7 from 7 a.m. to 4 p.m. In March 2010, Davis, a 14-year-old Kaysville Junior High School Student, contracted a random virus that damaged his bone marrow, which resulted in severe aplastic anemia. Once, a healthy football and baseball player, Davis now experiences life-threatening symptoms ranging from retinal bleeding, two-hour nose and gum bleeds, fevers, severe bacterial infections, and a depleted immune system. Affecting only three in one million Americans each year, aplastic anemia is a disease of the bone marrow, where the marrow stops making enough red blood cells, white blood cells and platelets for the body. People like Davis, with severe or very severe aplastic anemia, are at risk for life-threatening infections or bleeding. Treatment includes bone marrow or cord blood transplant and immunosuppressive therapy. If you can't attend, you can always donate at the "Distance for Davis" website: www.daviscoxfundraiser.com. 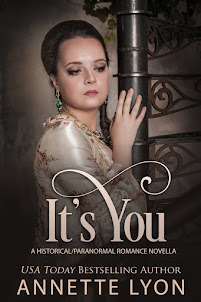 Reminder: Entries for the story part of my blog-anniversary giveaway are due TOMORROW, Wednesday, July 28th. All giveaway winners will be announced this Friday, July 30th. We're getting close to having enough to pay for The Lyon's Tale's FOURTH Flat Daddy for a military family going through a deployment. Woohooo! I'm THRILLED with the response from my readers who have donated. (You know who you are; thank you, thank you, thank you!!!) Every little bit helps. Mom and Dad Cunningham met at a single adult conference in July 1996. They were married five weeks later. During the early years of their marriage, Daddy C was in college, and even with a growing family (of four boys! ), he managed to graduate with honors with (YES!) a Bachelor's in English Literature and Writing. His final semester, he joined the Army and left for basic training July of 2000. The following February, the family headed for their first duty station: Fort Bliss, TX. The following years are a blur for them with two deployments, diapers, pre-schools, IEP meetings, OCS, and PCSs. (Acronyms that don't mean much for us civilians!) Daddy felt he was missing the boys growing up, so he decided to end his active duty Army career and find a civilian job. During that time, they got a surprise: their one and only daughter, born six years after their youngest son. This will be Daddy C's third deployment. We are so proud of him and his desire to serve! He's such a good example to our kids, and to the kids in his Primary class. Because of his great love for the Gospel and the fine example he has set in our home, even though he will be leaving, we will not be without the priesthood: Our two oldest boys hold the priesthood and love to serve. I see their happiness and willingness to fulfill their responsibilities and know it's because their dad is the same way! :) The younger two boys are anxiously waiting for their time to serve in the priesthood too! To donate to my Flat Daddy fund (and get the Cunninghams their Flat Daddy by the time Dad leaves!) use the DONATE button on my sidebar. We're getting close, so if we end up with extra funds (I hope! ), they'll roll over to the next Flat Daddy Family. 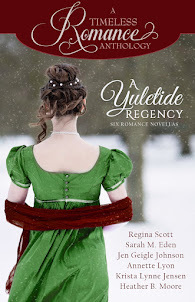 Reminder: Enter my blog-anniversary giveaway for a chance to win prizes! The story entries are due on Wednesday (tick, tock!). The NINE winners from all three ways of entering will be announced Friday. I've had several people ask variations on this question, so I figured it was time to answer it. Every writer is different, and I don't pretend to hold all magical writerly wisdom in my hands. But because every writer is different, I think we can all learn from one another, see what works for one person, and try it out for ourselves. I rarely draft chronologically, at least at first. I usually start a novel midway. This is largely because I have a first-chapter curse (wish I were kidding). If I try to start at chapter one, scene one, that section will be inevitably be doomed for the trash can. It's also because my ideas for books don't START at scene one. I usually get a cool idea for a specific scene that happens in the middle. So I start writing there, back up, jump forward, and somehow link it all together. At some point I do settle into mostly chronological writing, but I always allow myself to jump ahead again if I feel the need. I'm not a strict outliner, but I'm not a "seat of your pantser," either. I fall somewhere in between. I have to know where I'm starting (although not what the first scene will be), where the story will end up, and several major landmarks along the way. That's how I can hop ahead: I write out one of those major landmarks early on. I've learned that writing scenes I'm already "on fire" about tends to be best; if I wait until I get there chronologically, some of the fire is gone. Sure, by the time I've written everything that comes before that part, I often have to rewrite bits to make the whole fit together, and there's always bridging from one section to the already written parts, but it works for me. While in drafting mode, I generally spend a lot of time thinking. When the kids were really little, this was the only way to survive as a writer: to think ahead to what I'd be drafting next, so when I had 45 minutes, I could race to the keyboard and pound out the next part. I still think ahead even though the kids are older. This kind of creative thinking can be done while I'm falling asleep at night, folding laundry, taking a shower, driving, or whatever else doesn't use much brain power. I call them "brainless moments," where I can be doing one activity that doesn't take much attention or focus while my creative side can wander around and do its thing. That way, when I'm ready to draft, I can really get to work instead of staring at the screen, fingers over the keys, but getting nothing accomplished. This is especially important for when I do writing marathons, when I set aside several hours or a special day just for writing. If I have a solid list of scenes to come, I won't lose valuable time trying to figure out what comes next. If I feel stuck, or somehow disconnected to the story world, I'll open up some research related to it. That used to mean historical books about temples and whatnot. For Band of Sisters, it was often rereading military wife interviews. With my YA folktale, it's reading a section aloud from The Kalevala. I tend to write sparingly in my first drafts, so when I go back to look at a scene for the second (or whatever-eth) time, I flesh-out the details: setting, emotions, action, and so forth. After revising a scene a couple of times, I print it out and take it to critique group. Ideally. There are times I have to crank out something to read, and they, um, get to see it hot off the press in all its ugliness. When my awesome group is done praising/shredding/otherwise fixing the scene, I take it home. In theory, I make the needed revisions right away. When I'm done drafting a book, I'll go through the whole thing from start to finish, looking for anything more that needs fixing or polishing that I haven't hit yet. Up to this point, I've been working on the manuscript piecemeal, seeing it microscopically, if you will. The full read is the first time I see the book as a whole, where I experience the story arc all at once. So I look at it macro-scopically, to see the big picture: Does this chapter flow into the next? Does this scene transition well here? Is the pacing good throughout? Does the motivation wash in that scene? Does the conflict carry over from here to there? Do the character arcs work? And so on. Generally there's not time to take an entire manuscript to critique group a scene or chapter at a time before I want/need to submit it, so when it's fully drafted and revised, I ask for anyone in my group who has time to read over the whole thing. I hope to get at least two readers, and even with their busy schedules, they're pretty darn awesome and always come through for me. We swap these kinds of favors, so I don't feel too bad asking; I know that I'll be returning the favor by reading someone else's entire manuscript soon. When I get their edits back, I go through one final revision before submission. Yeah, except that "final" is a misnomer, because even after acceptance, there's more revision with the help of my editor before we enter the line-edit stage. That's the "typical" process, but really, there isn't a typical one. Every book has been different. Remember to enter my blog anniversary giveaway. Nine prizes are up for grabs. TIP: Right now you have a GREAT chance at winning SIX of them . . . check out the second and third ways of entering. Yippee! Today marks FOUR YEARS since my very first post here at The Lyon' s Tale, wherein I celebrated my writerly weirdness. Four of my seven novels were published. I got my own gorgeous office with built-in bookcases made by my husband. 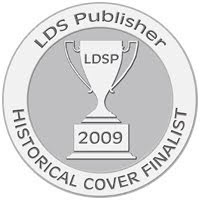 I won Utah's Best of State medal for fiction. The Whitney Awards were created. My suggestion for naming the award was picked. ("Whitney" in honor of apostle Orson F. Whitney, who envisioned an amazing future for LDS literature). I was a Whitney finalist, then a member of the committee, and this year got to present a Lifetime Achievement Award to Gerald Lund. The Teen Writers Conference was born, which I've been part of since its inception. I used elements from that experience in my next two books. Husband and I took a trip to visit my parents in my other homeland, Finland, where they were presiding over the temple. You can read all about the trip HERE. I joined Facebook (with both a personal page and an author page). At the pestering request of many, many people, I created my grammar book. 1) A random drawing for prizes. 3) A mini writing contest. A signed copy of Julie Wright's latest novel, a recent Whitney Award finalist. A signed copy of the newest release by 2-time Whitney winner H. B. Moore. The notebook has a totally cool cover (a blueish/grayish door with a brass doorknob and lock). Quote on the front says: Unlock your mind: read. Winner also gets a pen to go with the notebook. It has cute polka dots and the words: Don't bug me; I'm writing. Features a stack of books and the famous Groucho Marx quote: "Outside of a dog, a book is a man's best friend. Inside of a dog it's too dark to read." White, with a row of cute houses on it and a quote below them: "A house without books is like a room without windows." 8) A custom piece of jewelry from Bangles, Beads, N' Bobbles. 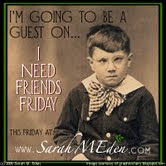 Visit their Facebook page or Etsy shop to get an idea of the fun stuff to choose from. Since the winner's prize will be created custom-made, they'll have to plan on about 2 weeks so Sandra, the brain behind the magic, can make the piece and ship it. A signed copy of Stephanie Humphrey's debut romance novel from Walnut Springs. AGAIN: DO NOT put the answers into the comments. E-mail them to me. 3) Enter my mini writing contest. THREE winners will be awarded from the entries, which will be judged by a super-secret but totally awesome panel. In hindsight, it wasn't such a good idea. 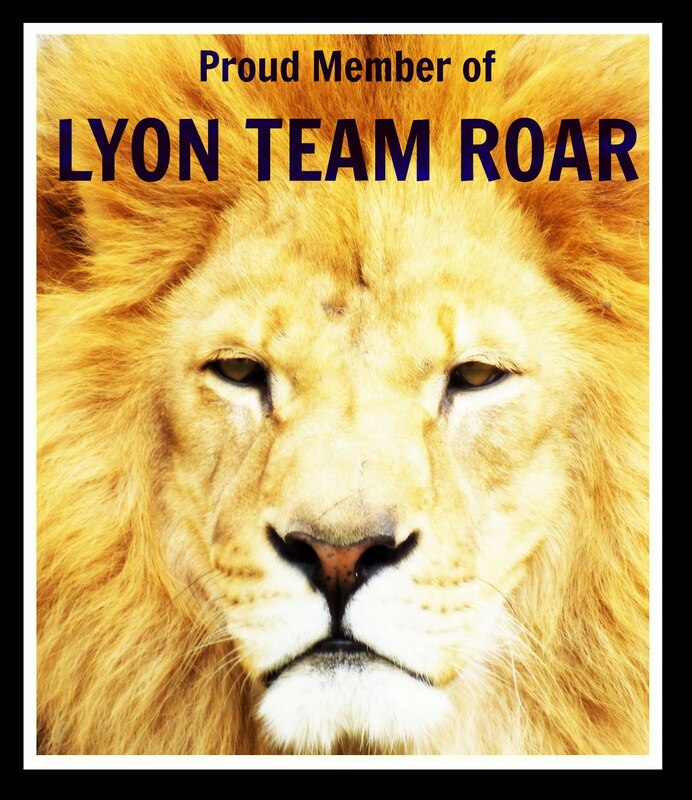 Winning stories will be posted here, so by entering, you're granting The Lyon's Tale that right. DEADLINE for stories: Wednesday, July 28. -THREE PRIZES for comments and spreading the love. -THREE PRIZES for those who correctly answer ridiculously easy trivia questions. 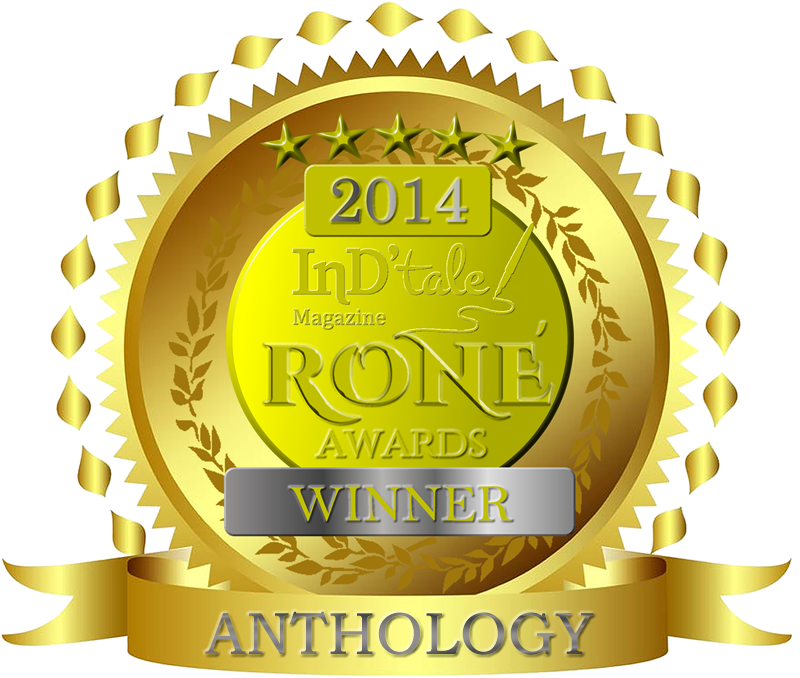 -THREE PRIZES for mini story winners. That's NINE awesome prizes you have a shot at winning! Winners will be announced Friday, July 30.